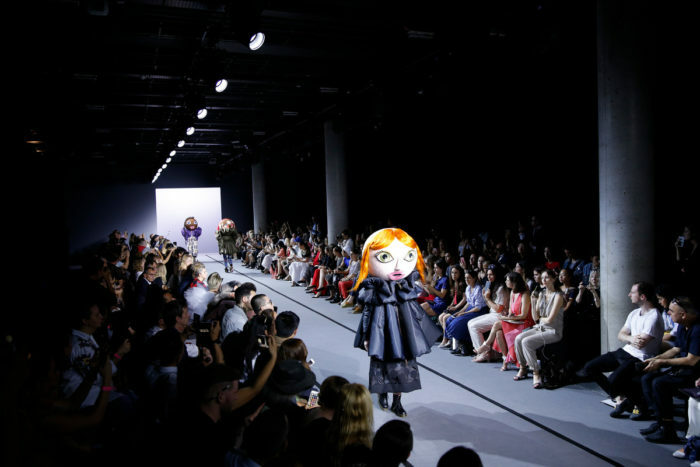 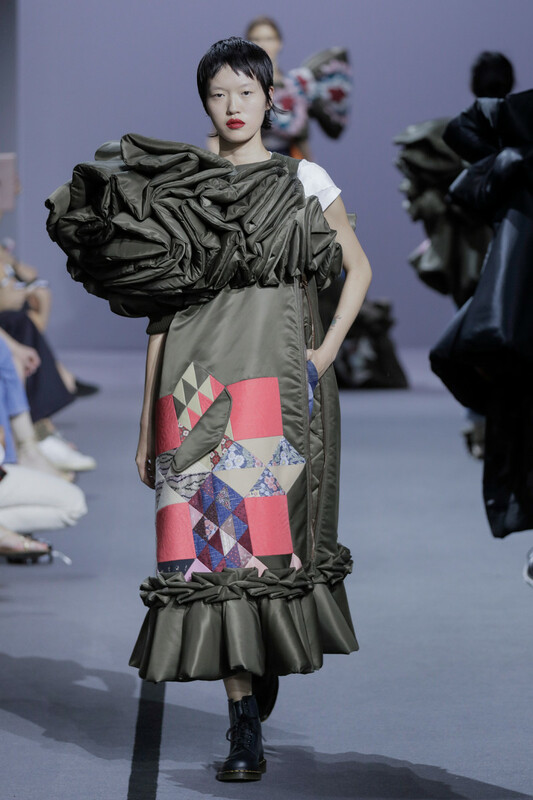 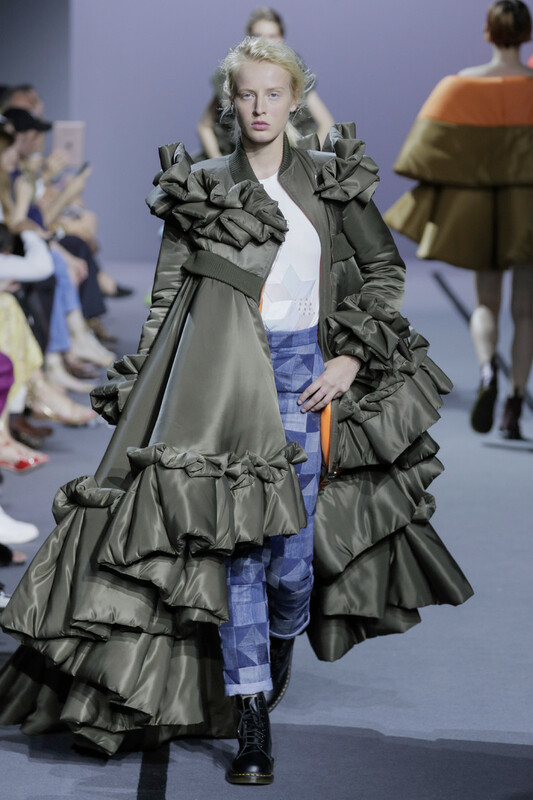 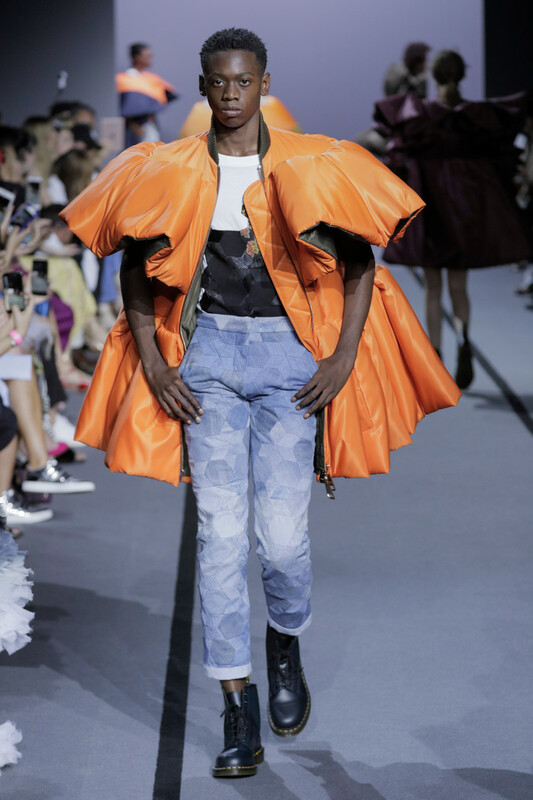 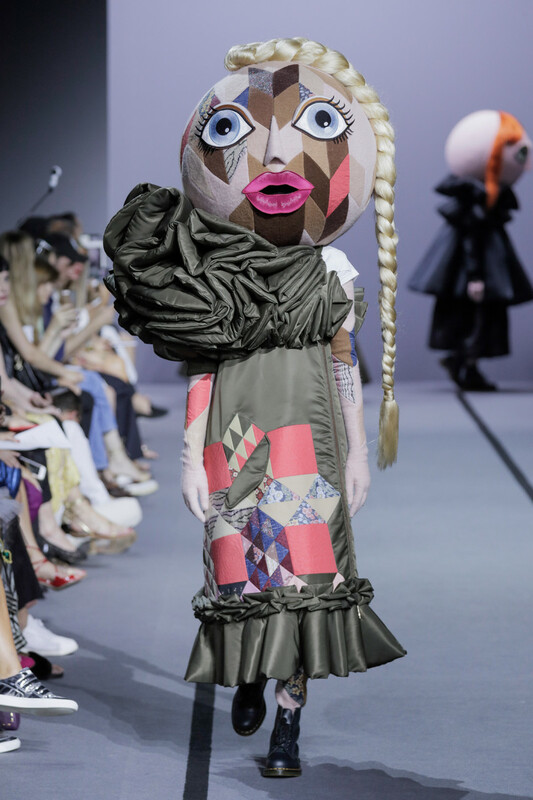 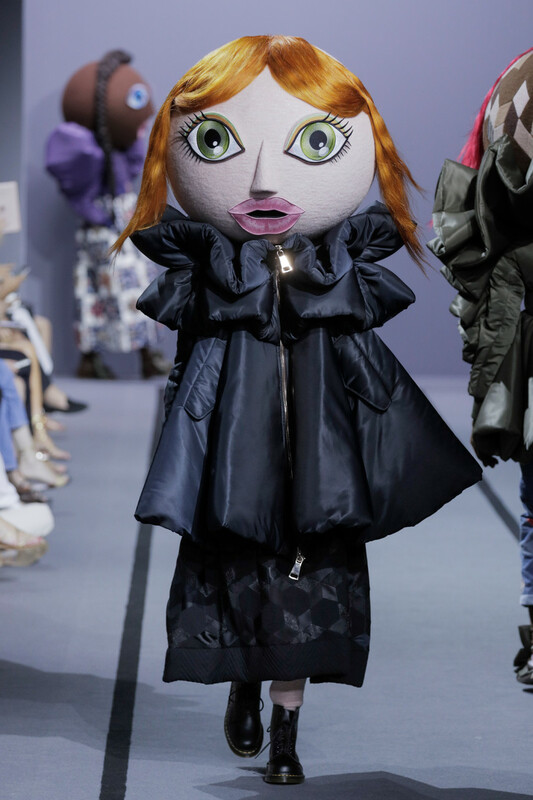 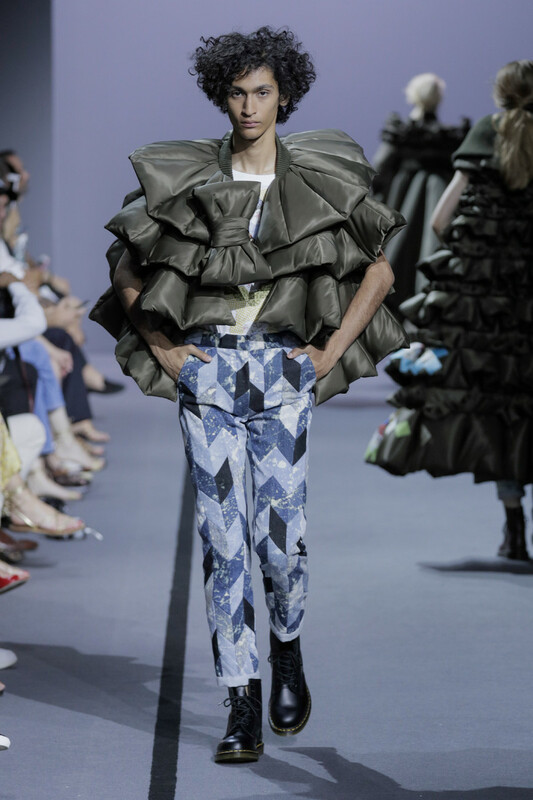 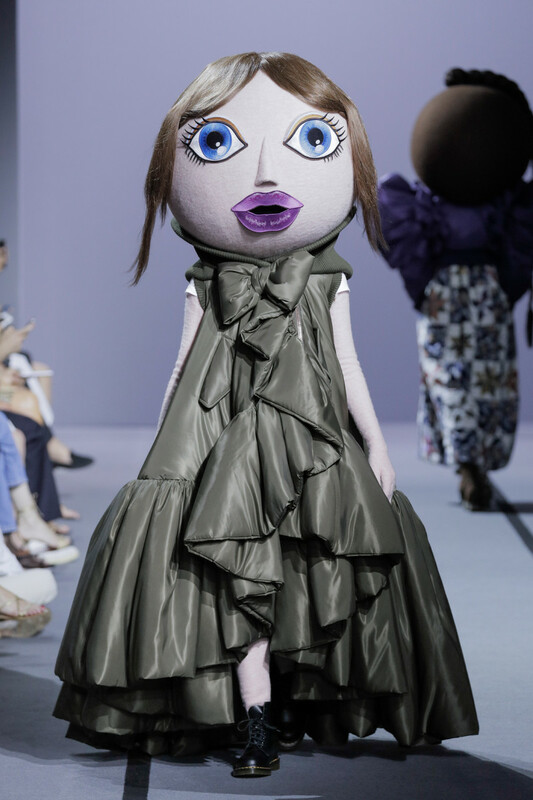 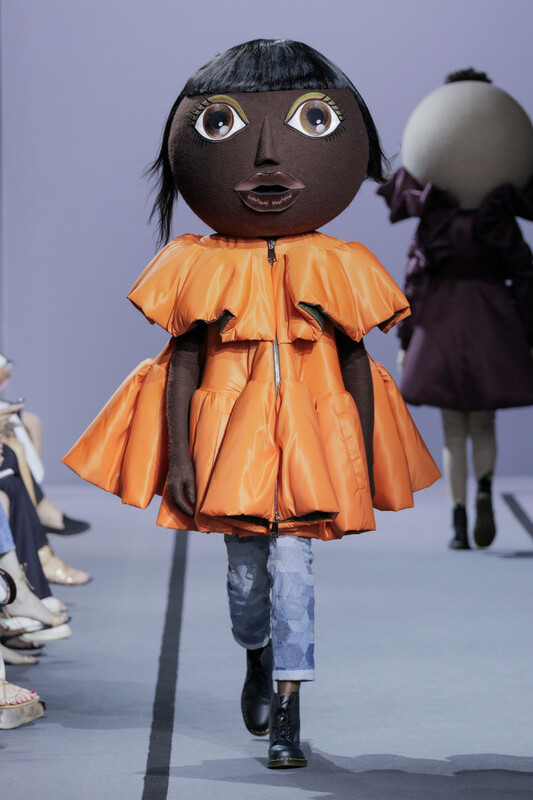 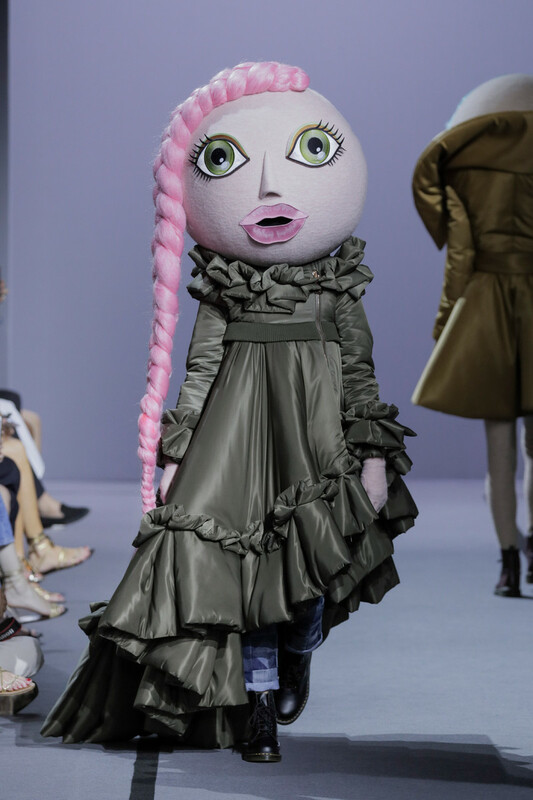 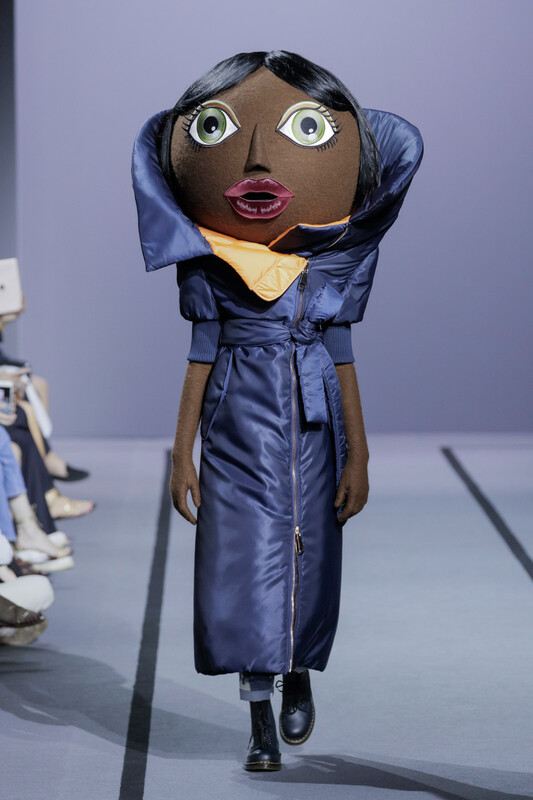 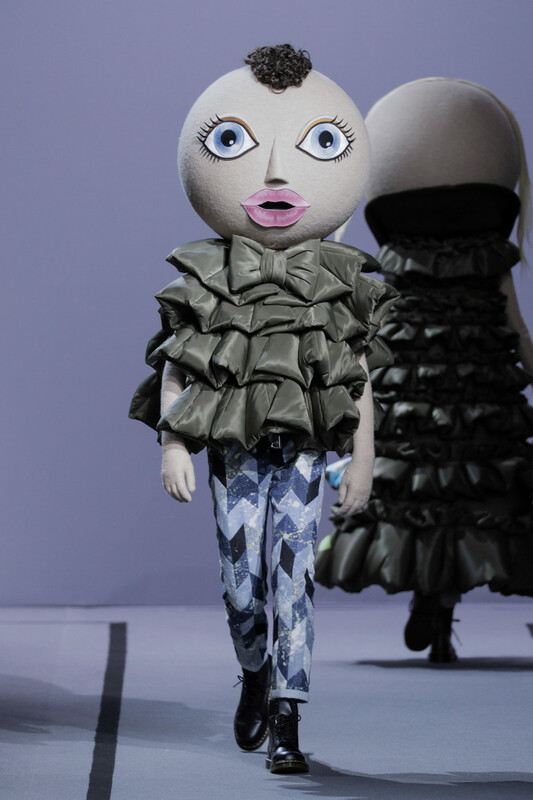 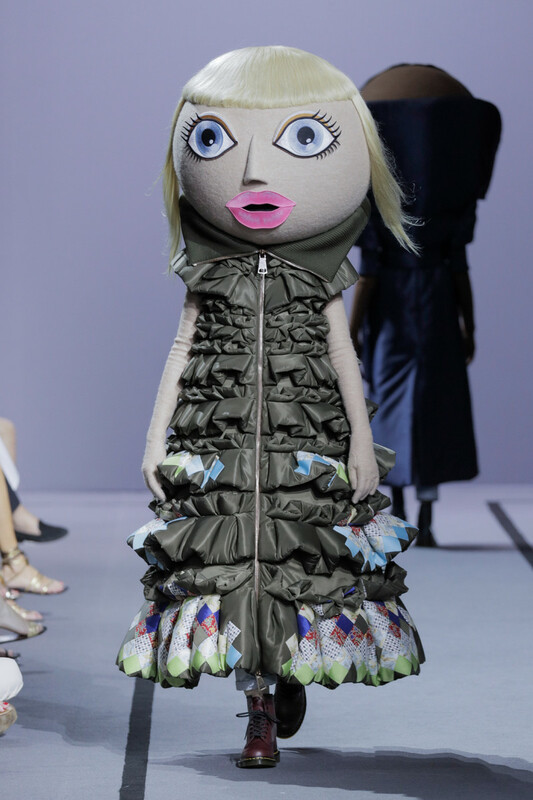 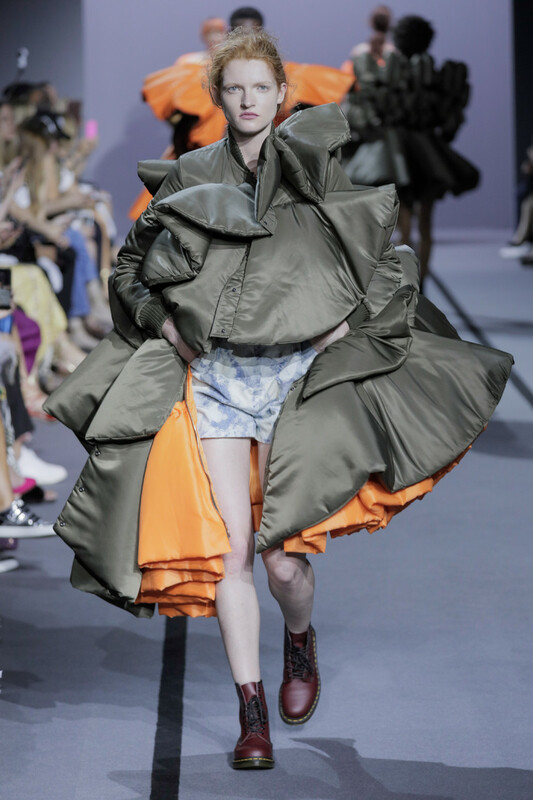 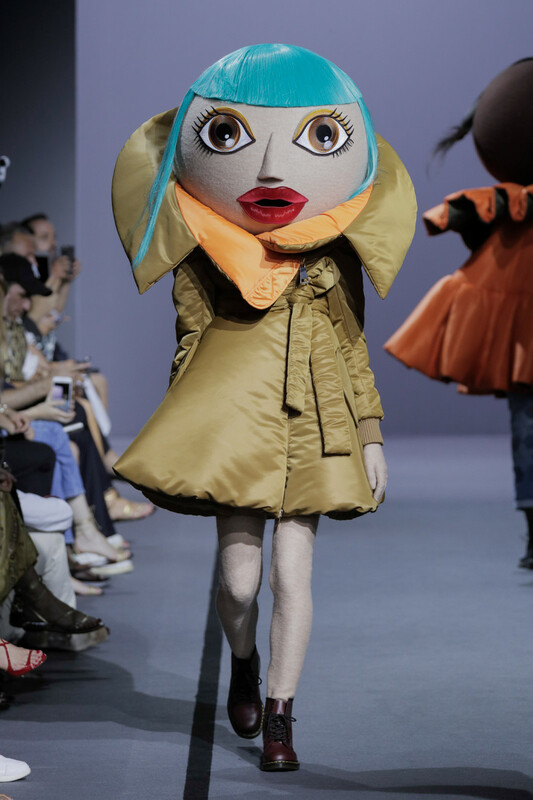 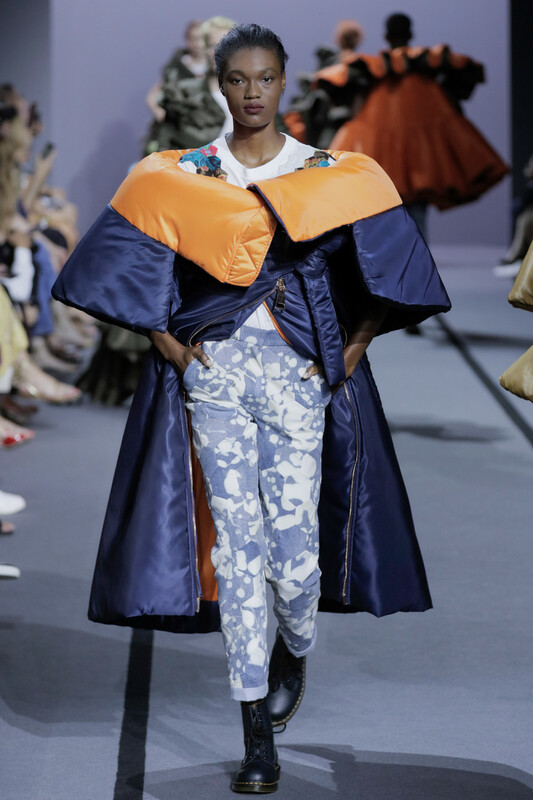 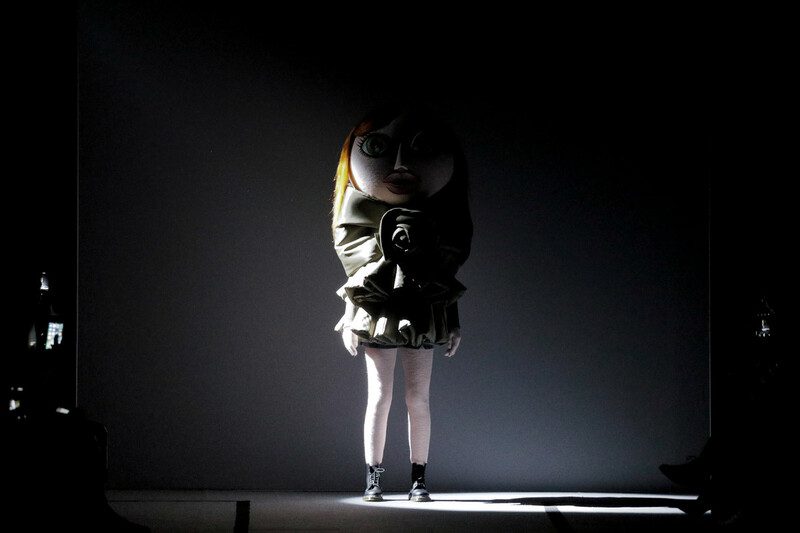 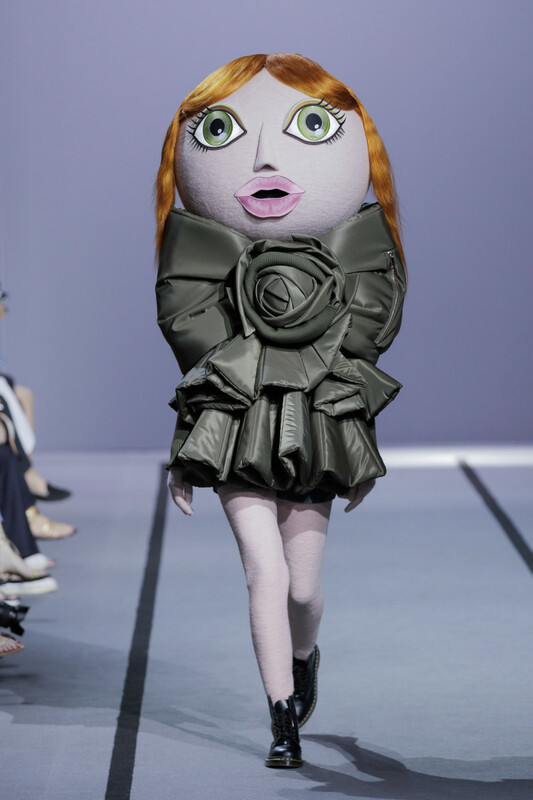 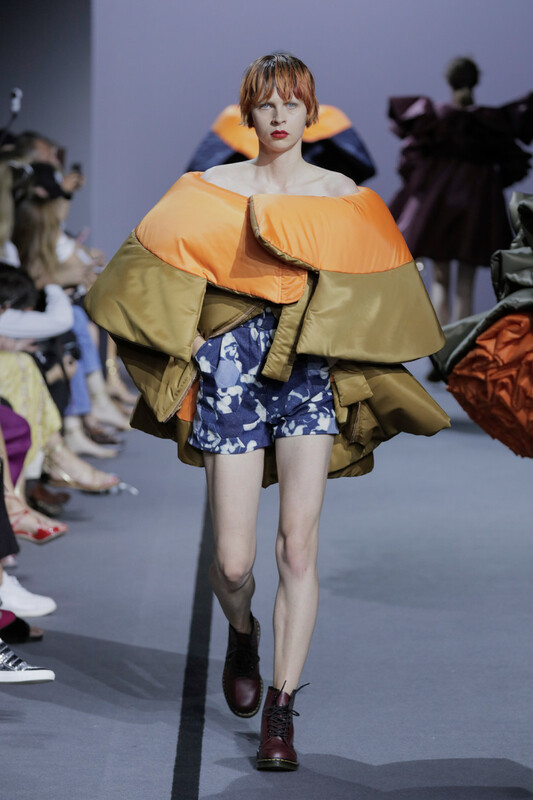 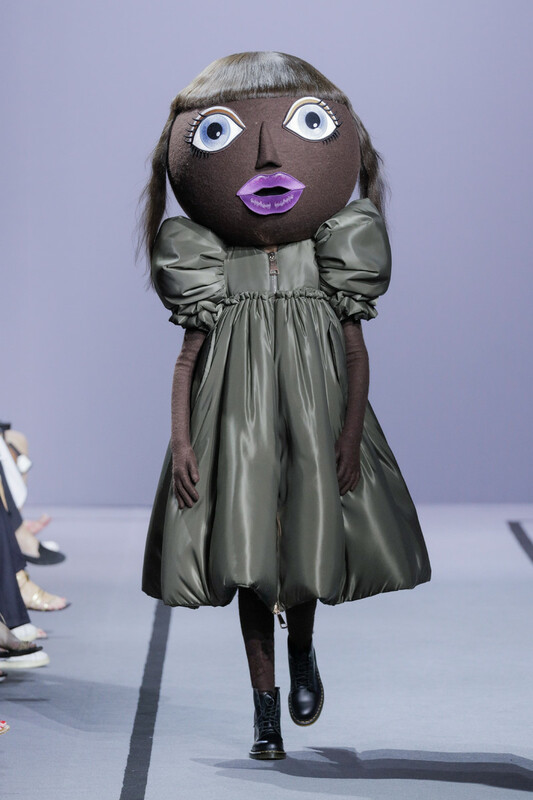 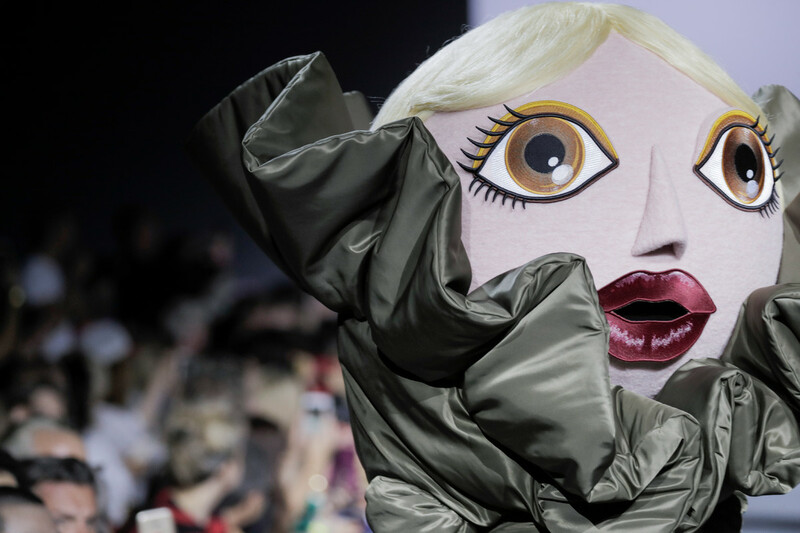 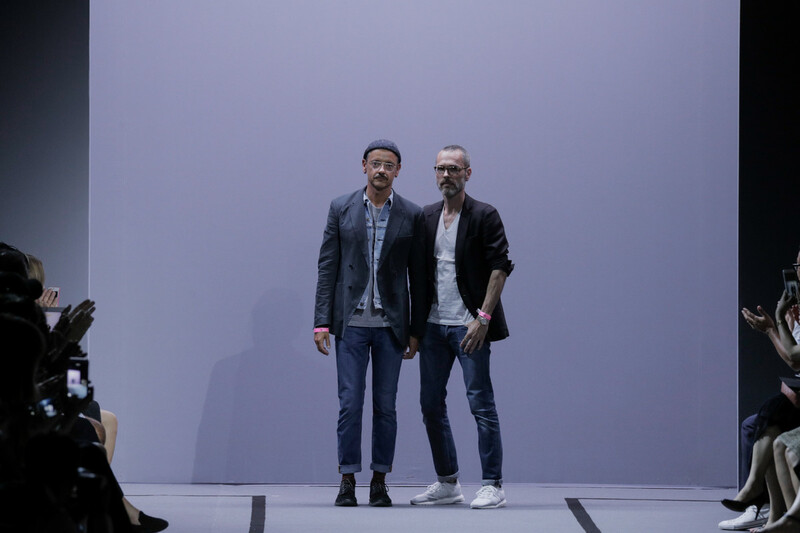 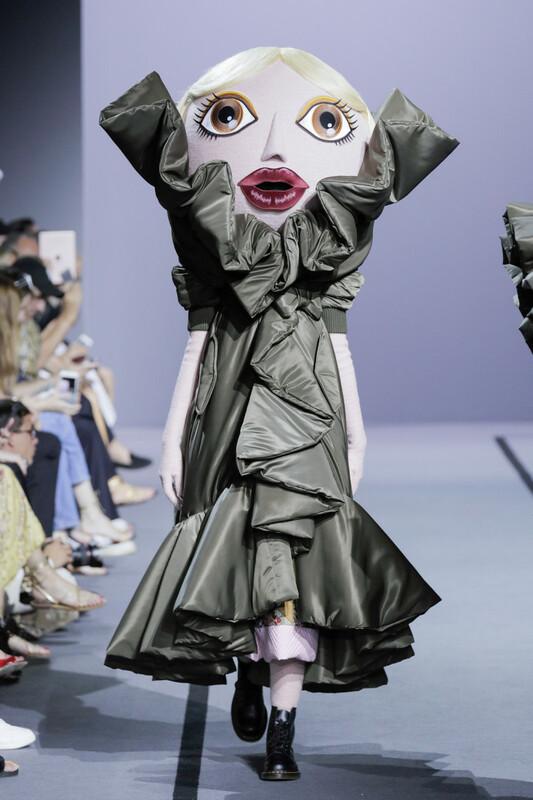 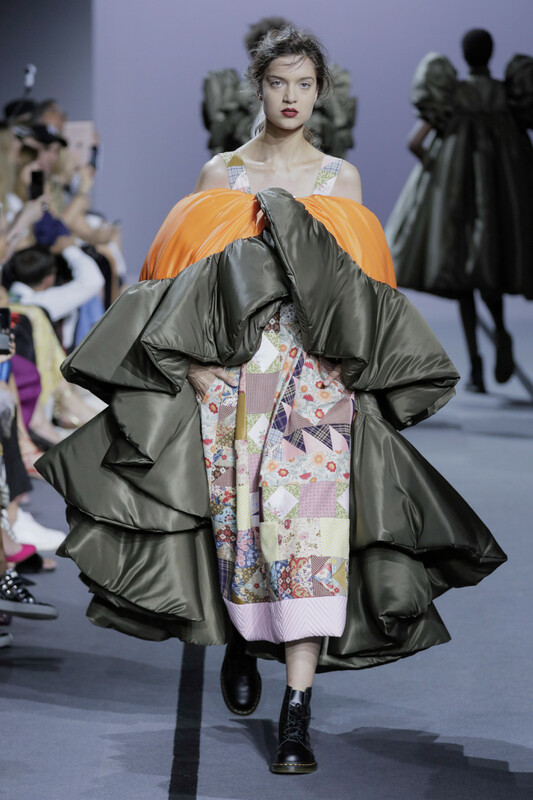 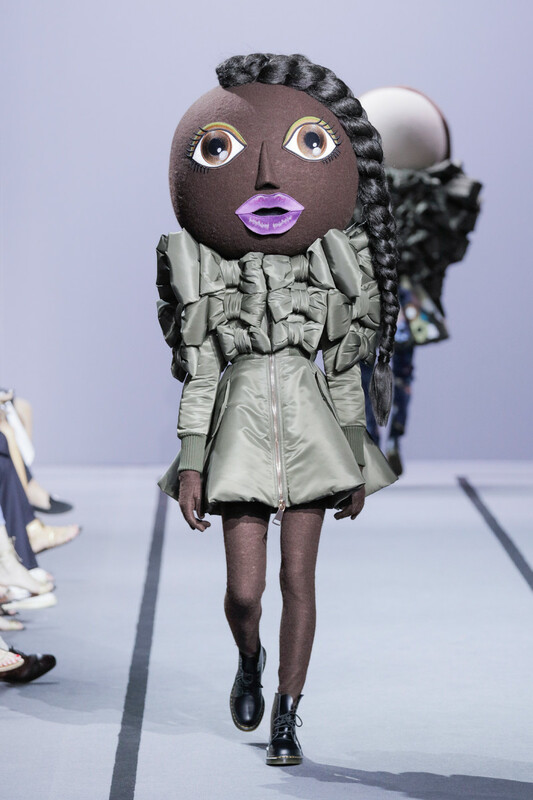 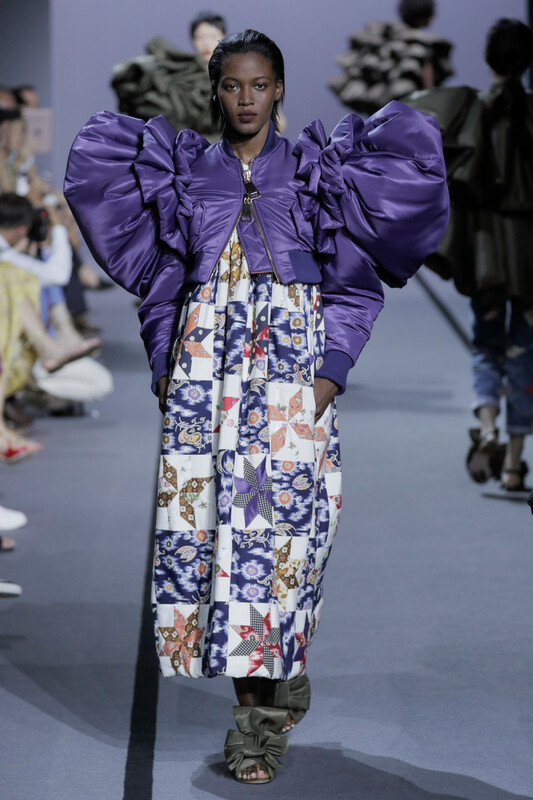 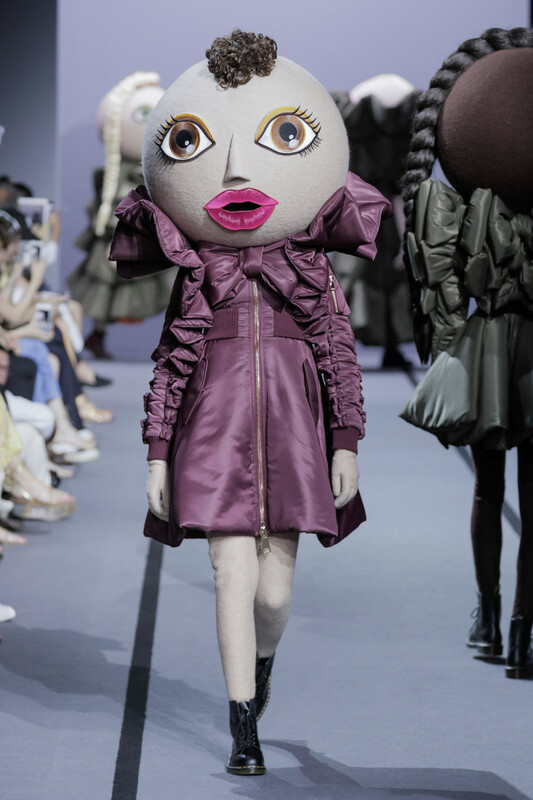 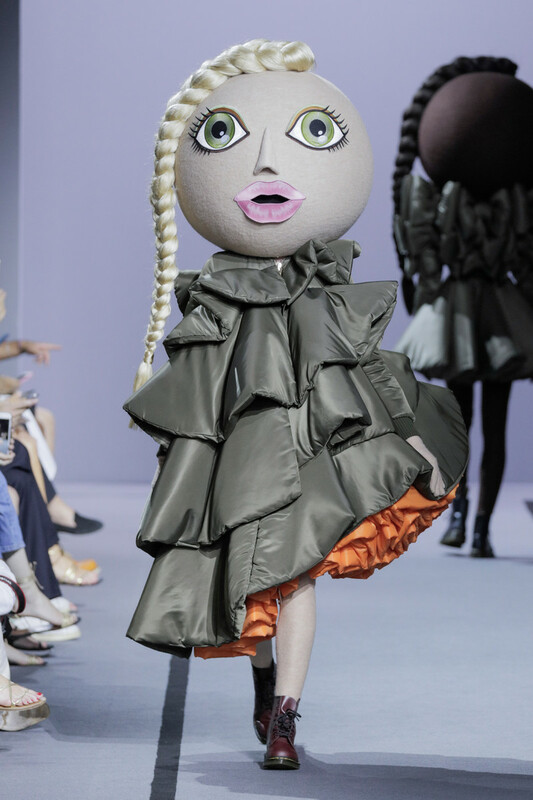 With Haute Couture Autumn/Winter 2017, Viktor&Rolf presented a parade of Haute Couture Action Dolls: a surreal yet playful fashion team of stylised Viktor&Rolf mascots, rooting for a world that is creative, diverse and eco-conscious. 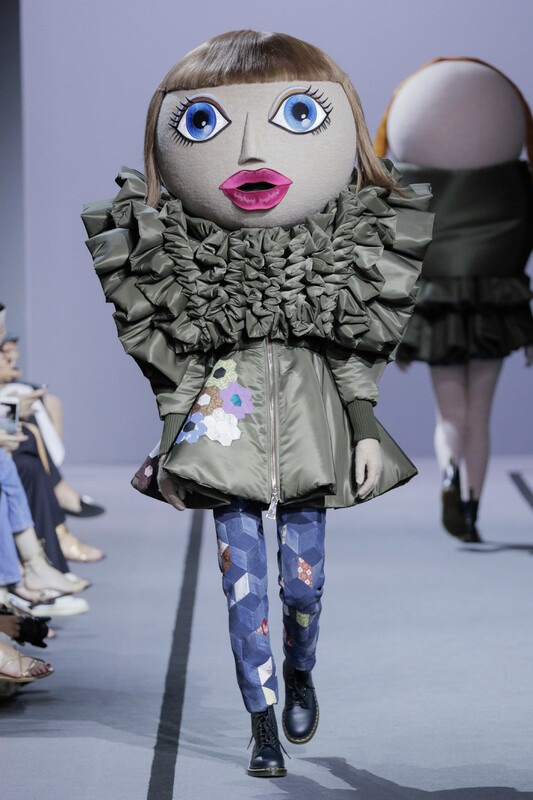 Their outfits consist of a bomber jacket, jeans and a t-shirt. 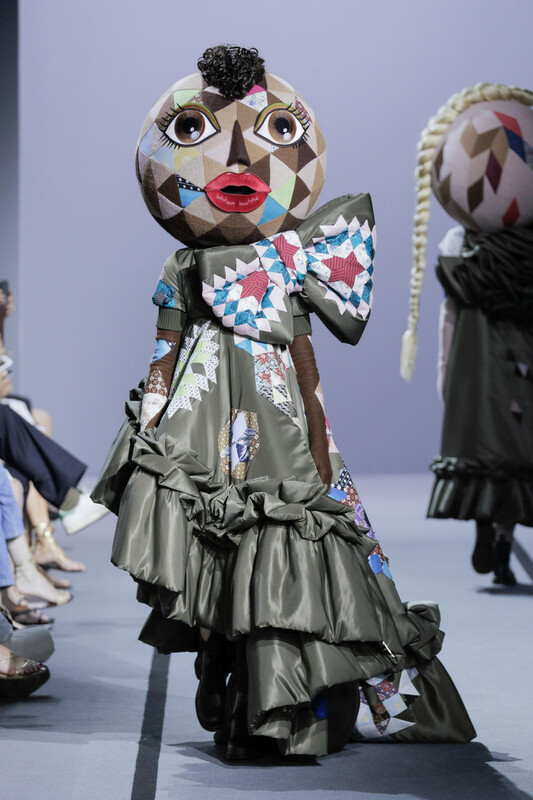 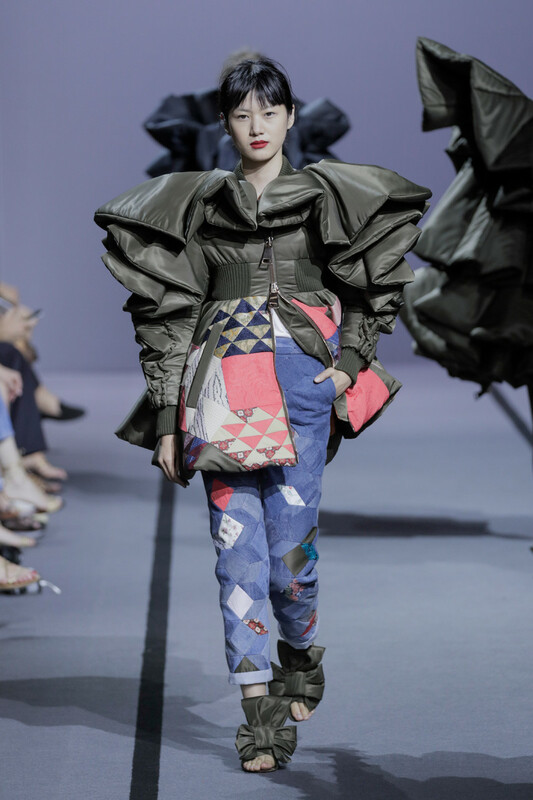 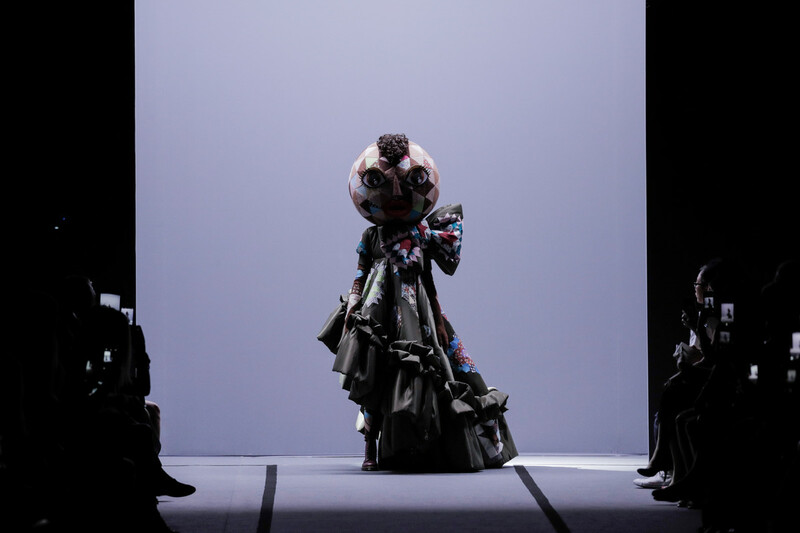 Various doll elements, including fabric-covered faces and bodies are fragmented and mingled into an extreme patchwork statement. 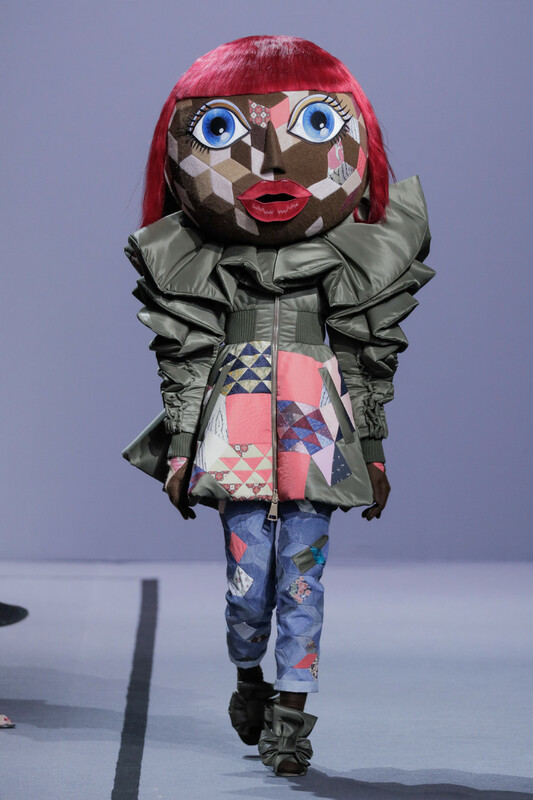 Patchwork continues to explore the idea of upcycling. 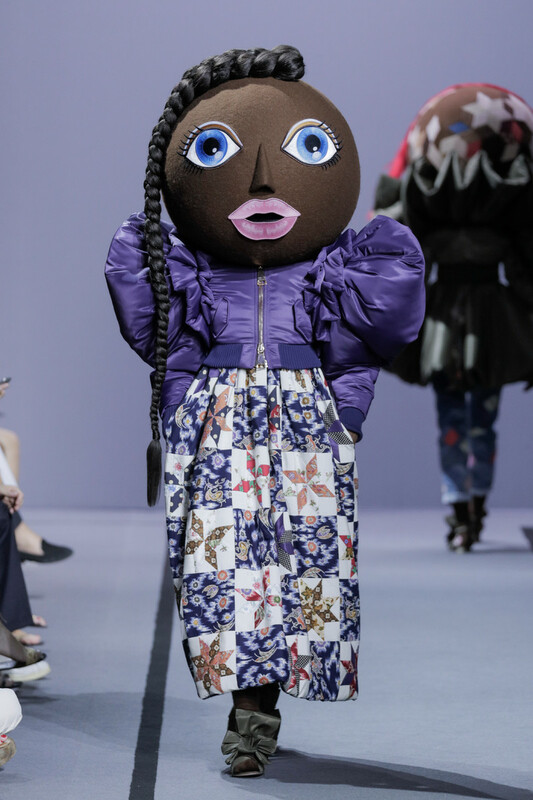 It also serves to symbolise a wish for harmony: to create unity through diversity.